Decision-making in the EU needs to become way more transparent. Still, there is already quite some open data available, differing in quality and ease of use. We challenge you to take this data and combine it with other sources to create innovative tools which increase transparency, improve ease of use and show the value of open governments. One thing you might need is an up to date list of all current (and previous) members of parliament. You can find information about each of the 751 Members of the European Parliament (including the current members, incoming and outgoing MEPs, assistants and all members in each parliamentary term, since 1979) or you can look for members of national parliaments, such as the House of Commons or the Swiss Bundesrat. How and when did they get elected? Take a look at election results: European Parliament 2009 and 2014 or these 200+ hits when searching for “election results“. Do you want to build an application which will analyse what parliament actually does? Or do you want to make it more accessible? Then you will need access to documents like amendments, proceedings, reports, questions, etc. Check out these links for European Parliament documents or those of the Austrian Parliament. If you’re looking for EU law and other public EU documents, you might want to have a look at EUR-Lex. To find out what’s in it and how to access this database, which is updated daily and contains more than 3 million items, have a look at this help page. There are a number of different unique identifiers. For documents it’s called CELEX about which you can find more details here (PDF) and here. The identifier for European case law is called ECLI and for EU and national legislation there is ELI. The Official Journal is the official compendium of EU legislation (L series) and other official documents of the EU institutions, bodies and agencies (C series and its supplements). It is published every day from Tuesday to Saturday in the official languages of the EU. The data is grouped by year (since 2004) and the resources are available for bulk download in XML Formex format. For the current year the data is provided monthly. There are two ways through which you can get the data in XML format. There are a number of pre-defined RSS-feeds such as all European parliament and Council legislation, all case-law, case-law of the Court of Justice, and Commission proposals. You can also customise an RSS-feed. Unfortunately if you want direct access to your selection of content and metadata in the database via a REST interface you will need to contact EUR-Lex to get additional documentation. You can also use their SOAP webservice but this requires registration through ECAS (to register click in the right menu under ‘My EUR-Lex‘). You can call the webservice with the username and password you received, in which you specify the query, containing a SELECT clause, to choose the metadata to be displayed and an ORDER, to define the sorting order. For help with expert queries, use this manual (PDF). To make things easier, have a look at Paltrack which scrapes data from OEIL, EP plenary minutes, online MEP profiles, IPEX and parliamentary committee agendas and turns them into structured data. 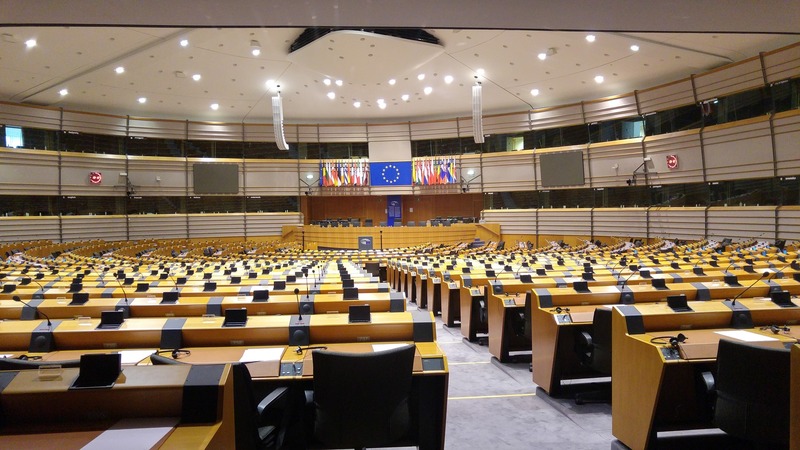 It has become a de facto API for European parliament data. Take a look at these datadumps – available as JSON under the Open Database License v1.0 (ODBL). Parltrack is available (cheers @pudo) as free software under the Affero GPL v3+ license. Another thing is to look at separate datasets. For example, calendars and agendas of all plenary sittings and committee meetings of the European parliament (data contains agendas since the start of 2015), the Council’s voting records (there is a SPARQL API but also a bulk download (ZIP)) or the register of documents of all three institutions, that contains a number of document types, with a focus on legislative documents, with references including COM, C, SEC and other types, including agendas and minutes of Commission meetings (data is available in bulk, ZIP and RDF). Finally, there is a lobby register with information about who is engaged in activities aiming at influencing EU decision-making, which interests are being pursued and what level of resources are invested in these activities. To get some inspiration have a look at VoteWatch which shows calculations of the times MEPs show up for votes, whether they vote along party lines and what coalitions dominate plenary decisions, or Thumbs of Europe which allows people to browse EU proposals and give them a thumbs-up or thumbs-down. But as you have noticed, data comes in many shapes and formats, is scattered around various places, is not always really open and for an average citizens hard to follow. So, if you’re building a tool or app that uses open data that aims to help make the EU more transparent, please submit your app for the App Competition.